Casting a vision for human flourishing. The sermon can be a powerful art-form to cast a vision for true human flourishing. Several times a month I get the honor of preaching at our progressive Christian church in San Diego, Sojourn Grace Collective. Here are three ways to dive in to progressive Christianity through my sermons. 1) Visit Sojourn's website where we have all my past messages. 2) Subscribe to our sermon podcast via iTunes. 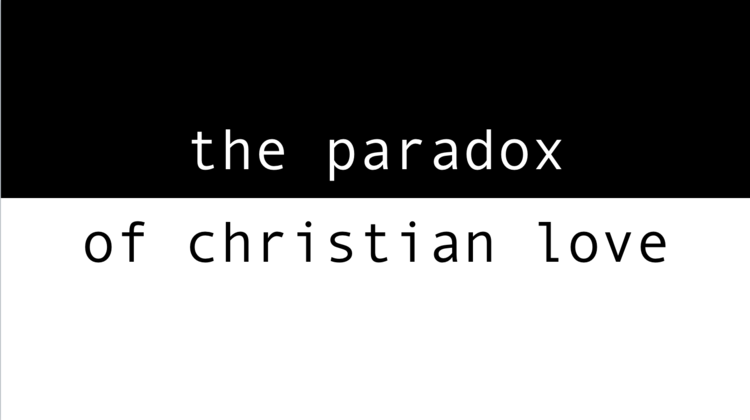 There is a paradox within Christian Love. God desires both that you come fully alive and flourish… and that you give yourself away. Self-realization vs Self-sacrifice. Join Pastor Colby as he dives into this tension. In Part II of “Considering Sin: This Changes Everything,” Pastor Colby begins to unravel the ways in which a deeper understanding of the biblical concept of “sin” makes its impact. Including how we think about Jesus and sin, the origin of sin, and forgiveness of sin. Don’t miss this paradigm-shifting two-part sermon! The Ascension of Christ. That bizarre story about Jesus floating away to the sky after rising from the dead. This week, Pastor Colby lets this odd tale ask us all sorts of questions about what to do in life once a chapter closes. All good things must come to an end… and then what? Jesus’ commitment to Sabbath meant he believed #alllivesmatter. But it ought be the ongoing PRACTICE of Sabbath that compels us to say #blacklivesmatter. In this sermon, Pastor Colby Martin connects the attitude of Jesus toward Sabbath with the Kneel-ins of the ’60s and the NFL kneeling policy. Resurrection is a fundamental truth about the nature of things: life comes from death. However, there are many obstacles in life that make believing in resurrection a very scary and vulnerable thing. This Easter, Pastor Colby gets honest about the parts of life that make belief hard, and offers a way forward into deeper peace and hope. “God is Love.” Sure, we all probably accept that statement. But when’s the last time you’ve sat to really think through what that means? What it looks like? And why it matters? That’s what Pastor Colby aims to do in this week’s sermon from our series on 1 John.